“Helvetica Placed on Arial (in Illustrator) ” is a typeface that comes in two styles: Minus Front and Minus Back. 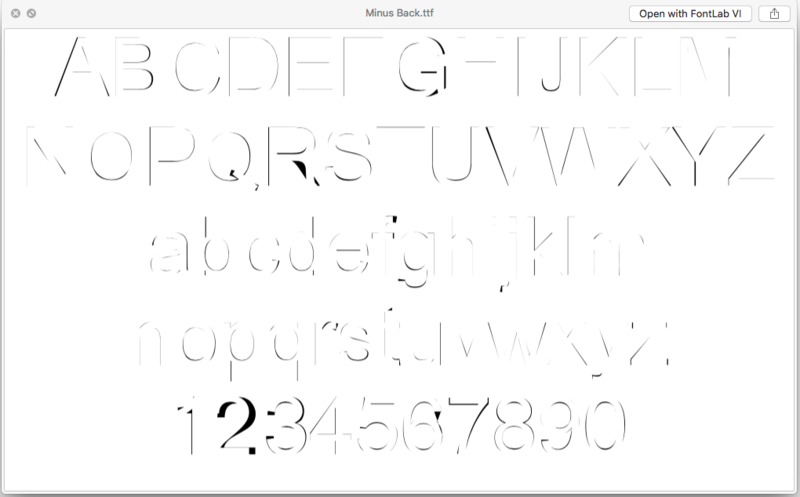 Minus Front subtracts Helvetica from Arial (in Illustrator) and Minus Back subtracts Arial from Helvetica (in Illustrator). 1- Set the entire glyph set in 50 pt Helvetica in Illustrator. 2- Set the same glyph set also in 50 pt Arial in Illustrator. 3- Place Helvetica glyph set on Arial Glyph set. 4- Expand both glyph sets. 5- Ungroup both glyph sets. 6- For each glyph, center align the Helvetica and the Arial versions both horizontally and vertically. 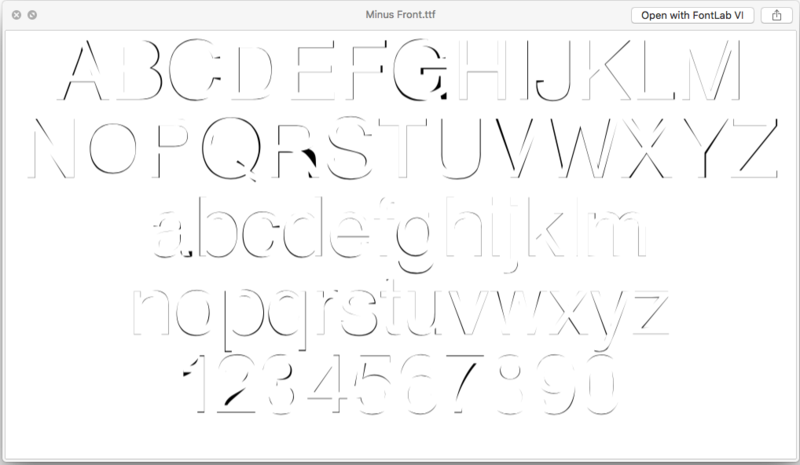 7- For achieving “Helvetica Placed on Arial (in Illustrator), Minus Front,” execute the minus front pathfinder tool for all of the glyphs. This will subtract Helvetica from Arial. 8- Repeat the steps 1-6 on a new artboard. 9- For achieving “Helvetica Placed on Arial (in Illustrator), Minus Back,” execute the minus back pathfinder tool for all of the glyphs. This will subtract Arial from Helvetica.